Best Travel Credit Cards in 2019 for Free Travel Perks! International travel is clearly possible without the use of a credit card. However, it would be a lot riskier to not keep a backup source of funds with you at all times. In a world where finding a credit card which doesn’t charge ridiculous fees can already be hard enough, finding the best travel credit card requires you to narrow down the kind of perks and benefits that you expect in order to find the best travel credit card to suit your personal needs. 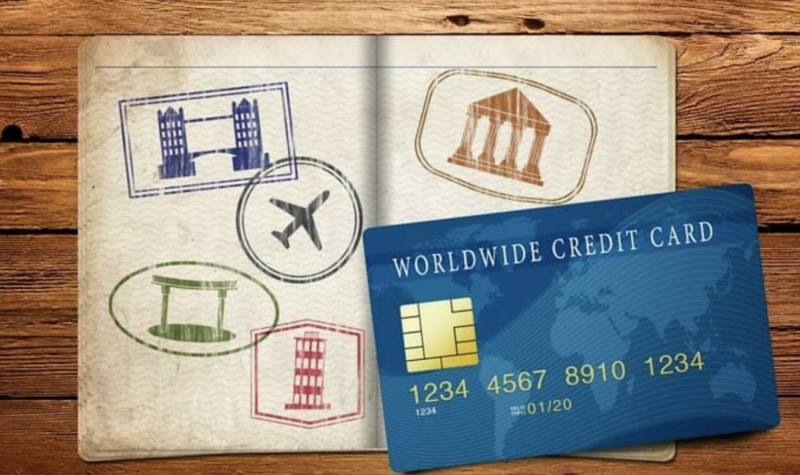 There are even a lot of strategies to use credit cards for free travel! Over the years I have used a conservative strategy of opening up credit cards to build over 1 Million Free Miles! These free miles have allowed me to fly all over the world for free and stay in a variety of 5-star hotels all for no cost! A lot of people are hesitant to open multiple credit cards, but if done correctly it can greatly build up a very strong credit score and your account full of free miles! I have opened up 15+ cards over time and have over an 805+ credit score, but has been as high as 817! If you aren’t monitoring your credit or financial spending, you can use free tools like Credit Karma or Mint.com, which I highly suggest. Downgrade to a no-fee card, which won’t affect your credit score. Canceling cards will negatively affect your score, but this is not always something that can be avoided. On this page, we have carefully selected the best credit cards for travel using a variety of different relevant criteria. This includes the benefits & perks, fees, bonus value estimates, annual fees, and so on. After pulling together information like this from several of the most popular and widely acclaimed credit cards with best rewards for travel, here is what we came up with. What Should You Expect from a Travel Credit Card? As we mentioned, finding the best travel credit card for your personal needs starts with determining what those needs are. Especially if you aren’t accustomed to using one of the top credit cards for travel. Accordingly, here are three of the most common things to check for right away. It is common for any sort of credit card to come with annual fees. Since many people who use credit cards always stay on top of their bills, this is one of the ways that the credit card company can ensure that they are still able to profit. When looking through credit cards with the best rewards for travel, the annual fees should be one of the first things you look at. ATM fees can be the bane of our existence while traveling abroad. This can be one of the most confusing aspects of using credit cards while abroad. Without a card that accounts for international transaction fees, you might find yourself constantly paying two different ATM fees, as an example. One for the ATM owner, and one to your credit card company. Without some sort of perks and potential benefits, it is impossible to become one of the best credit cards for traveling. All of the top credit cards for travel will come with some sort of special set of perks and benefits. This can include things like flight tickets, free hotel rooms, and extra cash to use while abroad. This is the best reward credit cards travel option if you simply want to have a great all-around credit card. With the ability to easily earn points right after getting approved, and receiving 3x points for travel, dining, hotels, and other travel expenses, many people benefit the most with this card. Due to the high level of potential benefits that you can take advantage of with this card, there is an annual fee of $450. However, when you consider the amount of money you can save by taking advantage of extra points from travel expenses, this becomes a lot less of a concern. This card has zero international transaction fees. The annual fee for this card will be quickly returned by those who travel a lot. 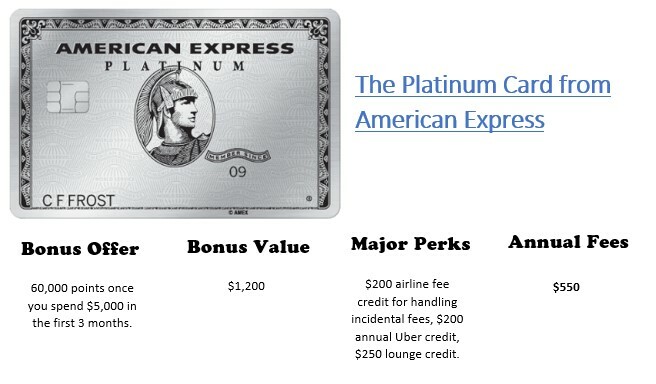 If you choose to use the Platinum Card from American Express, incidental fees like baggage and in-flight refreshments will be covered for up to $200 in annual expenses. To assist you while traveling abroad, you receive an allowance each month for free Uber rides. Right off the bat, we can see that the annual fee for this card is a little above average compared to some of the other best credit cards rewards travel options that are available. If you are sure to take advantage of all the perks, though, the annual fee will quickly be paid for. Like many of the top credit cards for travel, this card is designed to make your life as a traveler much easier. Outside of the perks previously mentioned, you can also earn rewards for hotels and airport lounges. Those who pay their balance each month will never have to worry about interest charges. If you are an avid fan of Hilton hotels and resorts, then this card might be the best travel credit card for your individual needs. 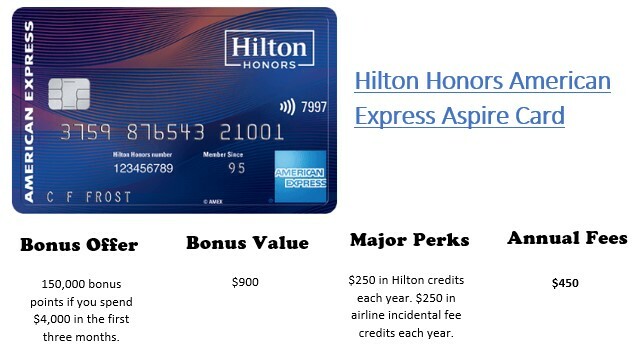 With $250 of annual Hilton credit each year, 14x Hilton honors bonus points for hotel or resort purchases, a yearly weekend night reward, and complimentary diamond status, this is the best travel credit card for hotel status. To use this card, there is a $450 annual fee. There is also a 17.99% to 26.99% variable APR on your purchases. In order to receive the most benefits, bonus points and perks with this card, you should also intend on visiting Hilton hotels frequently. In order to take full advantage of this card, you should be somebody that frequently visits Hilton hotels and resorts. Otherwise, you may have a hard time getting the annual fee investment back. Anybody who wants to have heightened status and priveledges while staying on Hilton properties will absolutely love this card. The reason that this card is one of the top credit cards for travel is that it has some of the easiest terms for getting free hotel rooms. 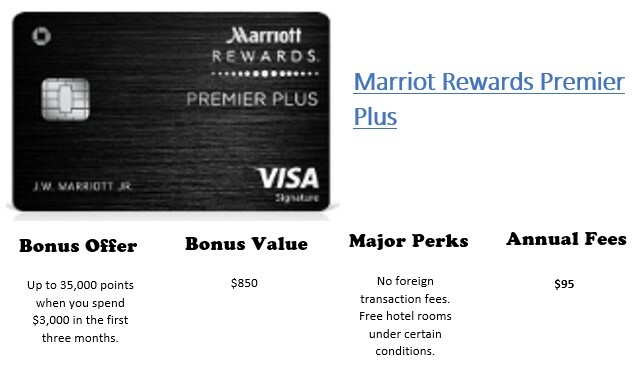 Accordingly, those who enjoy staying at Marriot hotels will be able to plan on having free hotel rooms that can be booked by adding up points from purchases. This is one of the best credit cards for traveling since it has zero foreign transaction fees and a reasonable annual fee of only $95. Since there are benefits like these, you will easily be able to return the annual fee investment each year. Just keep in mind that there are SPR fees which are anywhere between 18.24% to 27.24%, depending on your creditworthiness and the type of transaction. This is a great card for those who travel a lot, since it has zero international transaction fees. It is also great for those who find themselves visiting Marriot hotels. If you are concerned with having a low annual fee, this might be the best travel credit card for your needs. 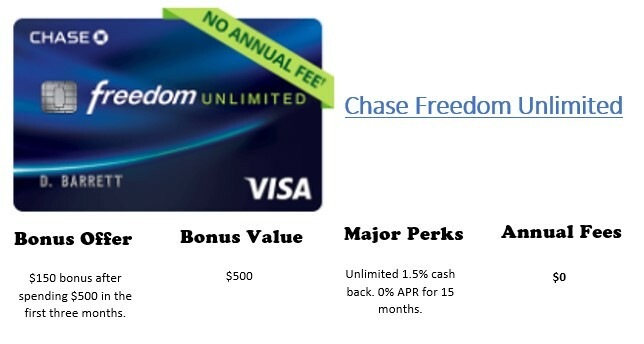 Those who are responsible card users, and simply want a dependable card for international travel that doesn’t rack up extra hidden fees should check out the Chase Freedom Unlimited credit card. This may not be one of the best credit cards rewards travel lovers can depend on for free stuff, but you can always depend on 1.5% cash back. Many people will immediately choose this as the best travel credit card once they discover that there is no annual fee. This is also why we have selected it as the best no fee travel card. You can also get a $150 bonus credit if you spend $500 with your Chase Freedom Unlimited card in your first three months. Those who don’t want to pay hefty annual fees each year are typically also those who don’t expect to use the card that much. With no annual fee, 0% APR for 15 months, and various benefits specially designed for travelers, this is another one of the top credit cards for travel. In order to find the best travel credit card for your personal circumstances, you will probably need to do some research. Start by determining what you expect to pay annually (if anything). Then, consider if each card has perks and potential rewards which make it worth using in the first place. 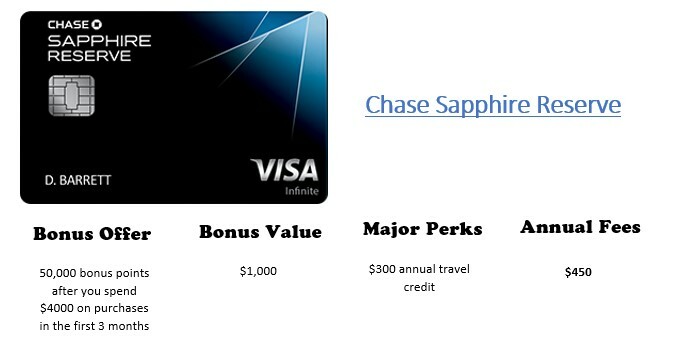 In most cases, the best travel card is the Chase Sapphire Reserve. In the end, though, what matters most is that you search through many of the credit cards with the best rewards for travel and find one that works the best with you. *This website is for informational purposes only and does not constitute a complete description of our investment advisory services. No information contained on this website constitutes tax, legal, insurance or investment advice. Tagged best credit cards for travelling, best credit cards rewards travel, best reward credit cards travel, best travel credit card, credit cards with best rewards for travel, Top Credit Cards for Travel.